Ransomware has seriously turned on to a noxious game of Hackers to get paid effortlessly. Once again the heat was felt by the Los Angeles-based Presbyterian Medical Center when a group of hackers had sealed all its sensitive files and demanded $17,000 USD to regain the access to those compromised data. ...and much more unexplained outcomes. The hospital had confirmed that the Ransomware malware had hit its core heart a week before, potentially affecting the situation to grow much worse. As the situation was grown out of wild, the hospital paid 40 Bitcoins (Roughly US $17,000) to the Ransomware Criminals to resume their medical operations after gaining the decryption keys. 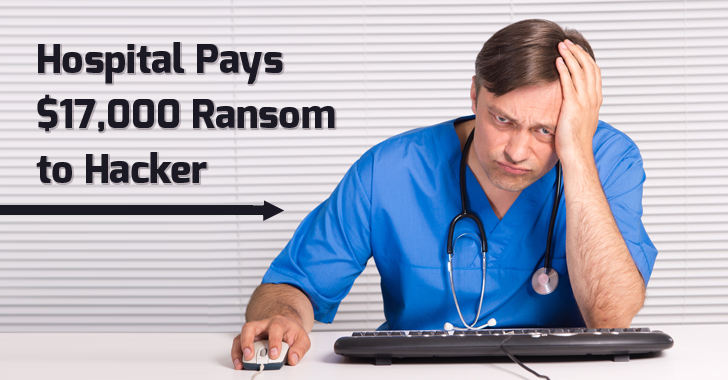 "The quickest and most efficient way to restore our systems and administrative functions was to pay the ransom and obtain the decryption key," the hospital CEO Allen Stefanek said in a letter. All the electronic medical system were restored back soon after unlocking the encrypted file locks. The Ransomware had stolen the nights of many network administrators, as they would be often blamed to fight up this nasty threat; instead of blaming staffs who click the illegit links in their e-mail. Last year, even the FBI advised paying off the Ransom amount to the ransomware criminals as they had not come up with any other alternatives. Several companies had got webbed in the Ransomware business including a US Police Department that paid US $750 to ransomware criminals three years back. Criminals often demand the ransom in BTC (their intelligent move) for the surety of not getting caught, as Bitcoin transactions are non-trackable due to its decentralized nature. So until and unless a permanent solution evolves, users are requested not to click malicious or suspected links sent via an unknown person. The frequent payment to Ransomware encourages the hackers in the dark to stash the cash and develop a more enticing framework for the next target. But affecting a medical system is a heinous crime as hospitals are acting as a bridge between life and heaven.